EDMONTON, AB--(Marketwired - September 29, 2017) - Mark your calendar for a clothing drive and spectacular block party in the southwest community of Glenridding Heights on September 30 from 1-5 P.M., at Glenridding Heights Park. 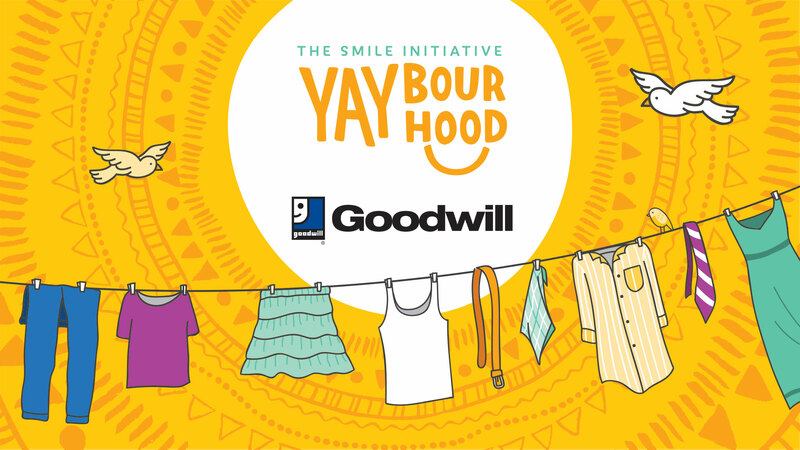 Rohit Group of Companies is partnering with Goodwill Industries of Alberta for Rohit's YAYbourhood initiative which aims to "spread the joy throughout Edmonton" by doing the "little things" that make a difference in the community. This event will celebrate the great community spirit with music, bouncy castles, pony rides and delicious food trucks. The block party on September 30 follows the Glenridding Heights community curbside donation drive on September 28. The group will reveal the total weight of the donations collected from the curbside donation drive at the block party at 2:00 P.M. on September 30. The block party is Rohit's and Goodwill's way of giving back to the community and saying thank you to Glenridding Heights for their generous donations. Rohit and Goodwill are both committed to sustainability -- the donated clothing will be re-used by Edmontonians who shop at Goodwill thrift stores. 89.6 cents of every dollar generated by the sale of donations goes directly towards Goodwill programs that help Edmontonians with disabilities find meaningful employment. WHEN: September 30 from 1-5 P.M.